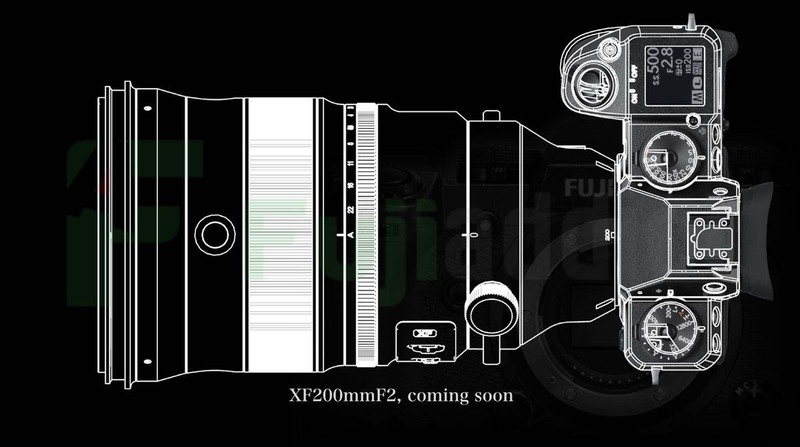 Fujifilm X-H1 With XF200F2 Coming Soon! The release of the Fujinon XF 200 f/2 is getting closer with this teaser from Fujifilm slipping out, showing what it looks like mounted on the Fujifilm X-H1. The Fuji X-H1 and XF200F2 look like they will go together very well and the IBIS system will certainly help while shooting sports or wildlife. Below is what we know about the XF200F2 so far. The Fujinon XF200 f/2 will cost between $4,900 and $5,000. If the rumor about the new TC is true it is a disappointing development, because the current 2x and 1.4xTC work very well and many of us that need them own them already. This looks like it will be an amazingly competitively priced lens compared to Canon EF 200mm f/2L IS USM and Nikon AF-S NIKKOR 200mm f/2G ED VR II, which both cost a few hundred more than the Fujinon XF200F2. We first reported the actual price of the XF200 about a week ago here. This entry was posted in Fujifilm X-H1 and tagged Fuji Rumors, Fuji X-H1, Fuji XH1, Fujifilm, Fujifilm Rumors, Fujifilm XH1, FujifilmRumors, Fujinon XF 200m f/2, Fujinon XF 200mm F2 R LM OIS WR, Fujinon XF200F2, Fujirumors. Bookmark the permalink. Trackbacks are closed, but you can post a comment.